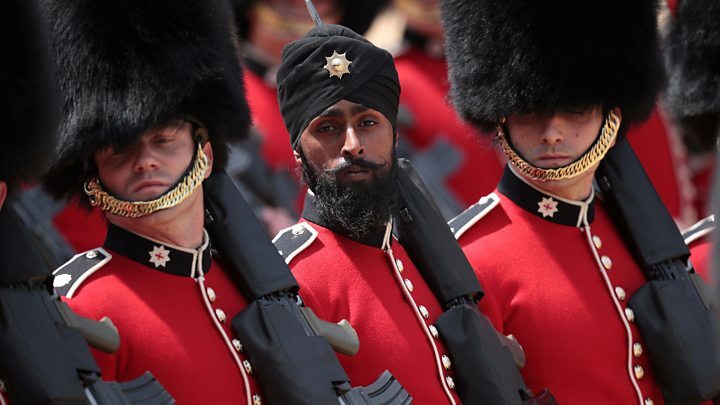 A Coldstream Guardsman who was the first to wear a turban during Trooping the Colour is understood to have tested positive for cocaine. Charanpreet Singh Lall, 22, from Leicester, registered “high levels” of the Class A drug during a random test at Victoria Barracks, Windsor. He was one of three soldiers who failed the test, The Sun reported. 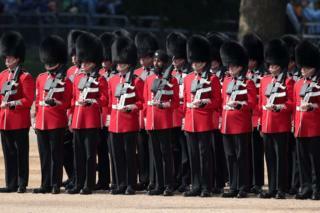 The Ministry of Defence (MoD) said those caught taking drugs could be discharged from the army. Brigadier Christopher Coles, head of army personnel services group, said: “I can confirm a number of soldiers from the Coldstream Guards are under investigation for alleged drugs misuse. The identities of the other guardsmen have not been revealed. The MoD told the BBC it could be a “matter of weeks” before any potential action was taken. In June Gdsm Lall said it was an “honour” to be the first member of the Coldstream Guards to take part in Trooping the Colour parade while wearing a turban. 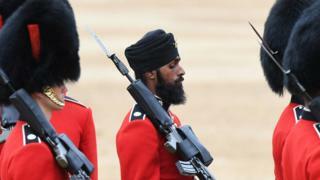 Gdsm Lall wore a black turban featuring the ceremonial cap star to match the bearskin hats during the ceremony to mark the Queen’s official birthday. He joined the British Army in January 2016, having moved to the UK from Punjab, India, as a baby. Between July and October last year, 220 soldiers – including army reservists – tested positive after a compulsory drug test (CDT). Drugs found in the test were cocaine, ecstasy, cannabis, ketamine, steroids, amphetamine and benzodiazepine. In January, the MoD said that it did know how many of these 220 personnel were discharged as a result. “CDT failure may take time to investigate, therefore it has not been possible to provide data on discharge decisions,” it said.